downstairs living room, full bath, 2 bedrooms access to backyard and gardens. Wide stairs leading up to 2nd floor/ main living area that opens to a large deck with panoramic views of tidal marshes and Cape Cod Bay. professionals- No pets. No smoking. (fall days- Indian summer weather)-wonderful place to kick back and take in beautiful sunsets. water ponds and bike path. Property has gorgeous views of marsh and bayside. Enjoy the shifting vistas as the tides ebb and flow. 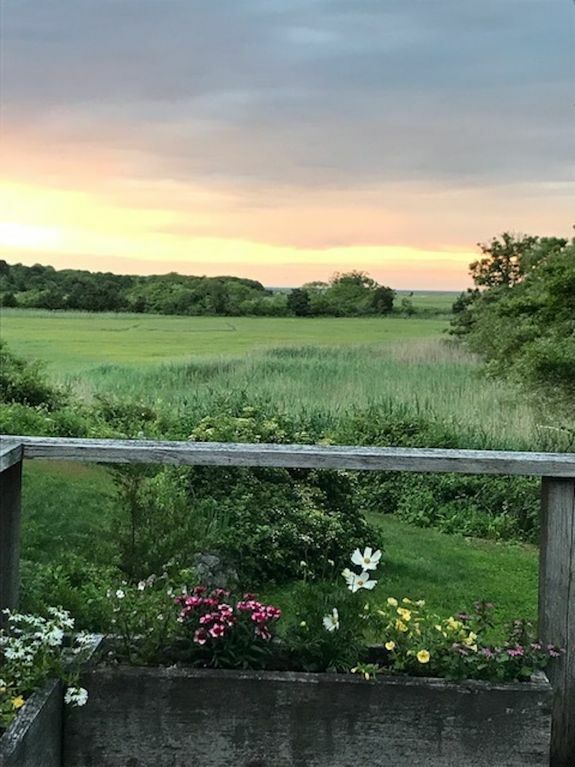 Relax on the back deck and enjoy peaceful marsh and bayside views. Wonderful bird watching and sunsets are incredible. The Natural History Museum is very close with gorgeous hiking paths that lead to Crow's Pasture Beach. Enjoy the historic John Wing Trail all year round. Also, the Cape offers bike trails for safe cycling and wonderful outdoor adventures.